What I didn’t realize until I had children was that there is some seriously awesome BBC programming for kids. Of course Thomas the Engine was created across the pond and I’ve watched more of those episodes than I would willingly admit. Who can forget the Teletubbies phenomenon of the 90’s? And Shaun the Sheep has successfully introduced his brand of claymation humor to the world through several movies, one of which was just recently released. You won’t be surprised to hear that when I recieved an email about Clangers – Playtime Planet, I jumped on the opportunity to play and review the game. 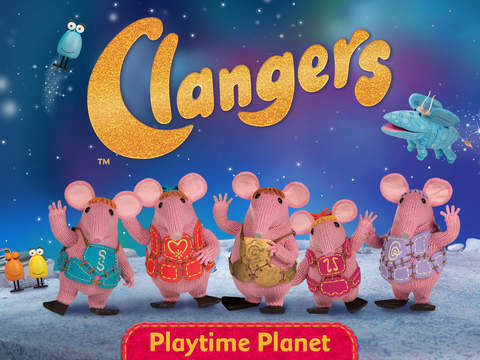 My kids are a bit old for the CBeebies programming (designed specifically for preschoolers) so we haven’t seen the show Clangers, so I wasn’t familiar with the characters. I do know, however, that CBeebies has a long history of being perfectly suited for its target audience. 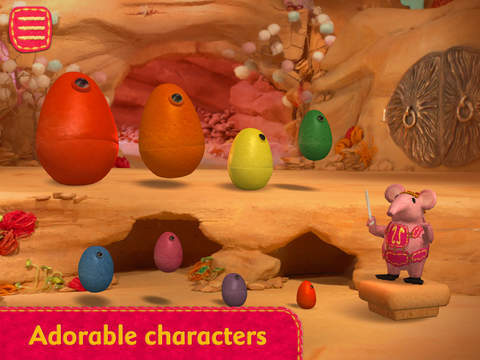 The StoryToys app is made up of 5 mini games that players choose by orbiting around the Clangers’ planet. In one game, Eggbots play a lovely tune and then players have to repeat series of notes. In another, kiddos have to play virtual hide-and-seek to open doors and find characters like Tiny and Small. There is one game that I thought might be a little tricky for preschoolers; you have to navigate a flying SkyMoo through space debris, and it requires a little more control over fine motor skills that the 3-5 group may not yet have. Several early-learning skills are being addressed in this app: short-term memory, dexterity, and hand-eye coordination. There are no written instructions and parents can choose between a British or an American English voice narration (guess which one I chose). For those players that are familiar with Clangers, it’s a fun companion app – and for those who aren’t, it’s easy to pick up and play without having a back story on the show or the characters.